I thought you might appreciate the above antidote to Christmas. 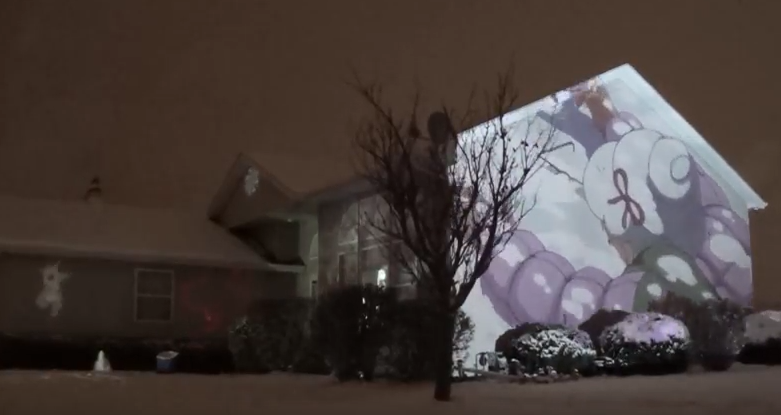 Grandma Got Run Over by a Reindeer is a jolly little song which has been brought to life by Jerry Kosek, a contributor to Youtube, in the form of a projected movie on the gable end of a house, I guess somewhere in the USA. You can access the full effect here. You'll notice there are a few additional projections on other parts of the house including a wonderful dancing bear (far left) who should have got his own show. Lego is not something you immediately associate with optical effects and visual gizmology but try these for size. 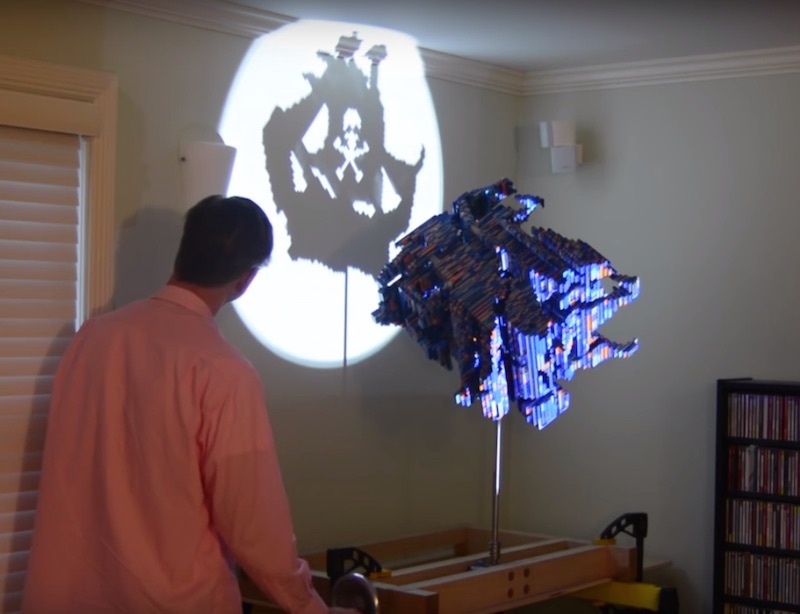 John V Muntean is a research scientist for the US Department of Energy who creates strange amorphous conglomerations of Lego which do not appear to resemble anything until you shine light on them and spin them. Not so extraordinary you may feel until you discover that this example comprises a pirate ship, but a knight and a mermaid. You can see various videos of his creations in action here. and visit his own website here. 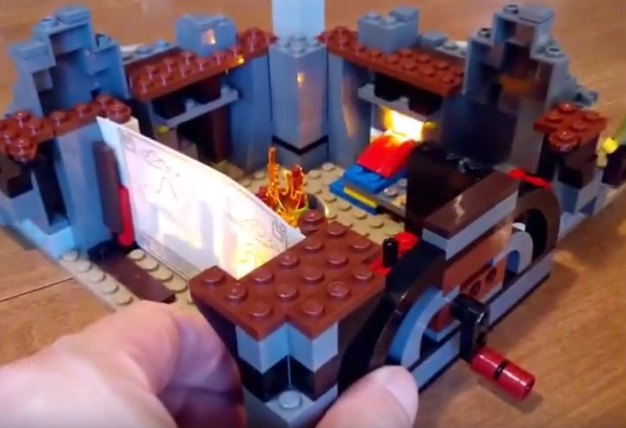 This is the Lego Airjitzu Temple Shadow Puppet Theatre - a hand operated shadow show entertainment designed especially for lovers of Lego and, presumably, shadow shows. I'm not quite sure how many people share that combination of interests but anyway you can see it in action here. 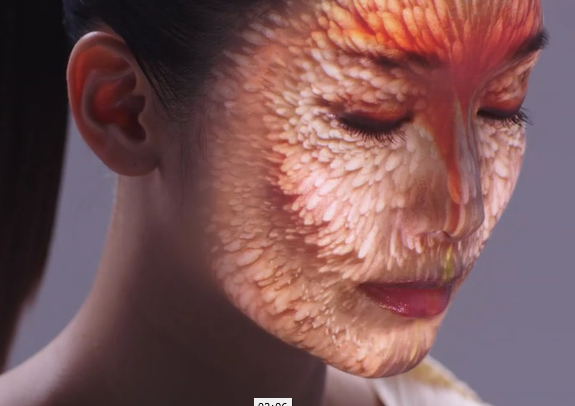 Face Tracking is a form of electric make-up art which involves projecting moving designs directly onto the face. The acknowledged master of the technique is the Japanese artist Nobumichi Asai (aka WOW inc.). In November he won an international design award for his latest creation, a beautifully made film which you can view here. You may also wish to scroll down to see more about this dynamic form of cosmetic design. 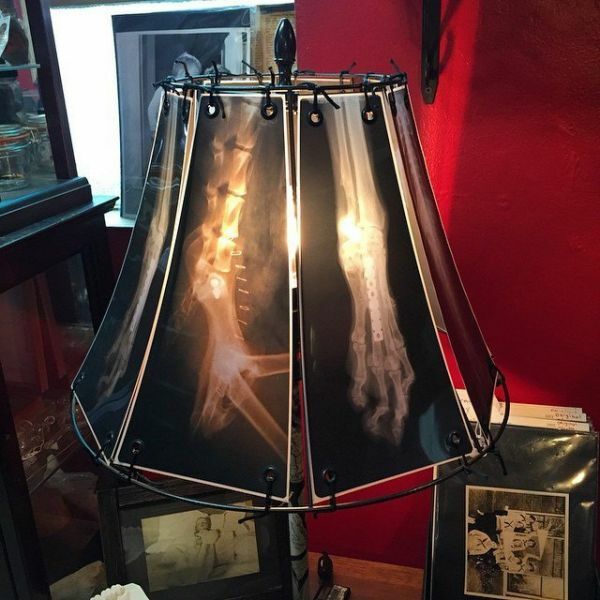 What do you do with your old X ray charts? You could do what US based veterinary oncologist technician Spike Vain does and make them into lampshades. Possibly not something that even occurred to Wilhelm Röntgen when he invented the X Ray back in the 1890s. 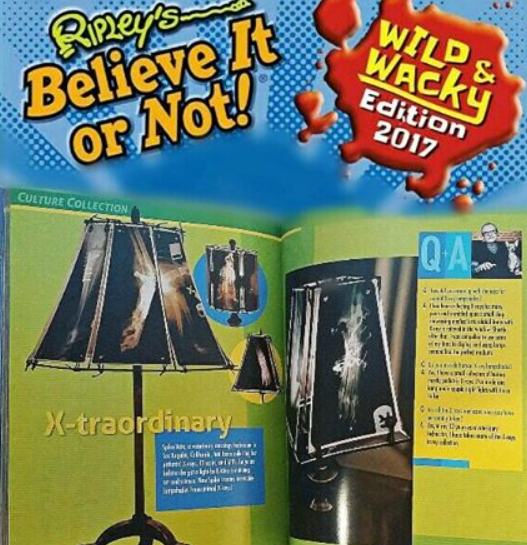 You can see more of Spike Vain's work here on the Bored Panda site or in the new Wild and Wacky Edition 2017 of Ripley's Believe it or Not. Get it here. Back in June 2015 we featured a picture of lanternist Jerry Butler seated on the back of a camel somewhere in Morocco and promised more information about his impending shows there. Well my friends the wait is over. Jerry and his wife Meryl, together with a full company which includes a Moroccan musical quartet comprising a percussionist, a flautist, a lute player and a girl singer are presenting their newest show at the Cinemateque de Tanger on 28 January. 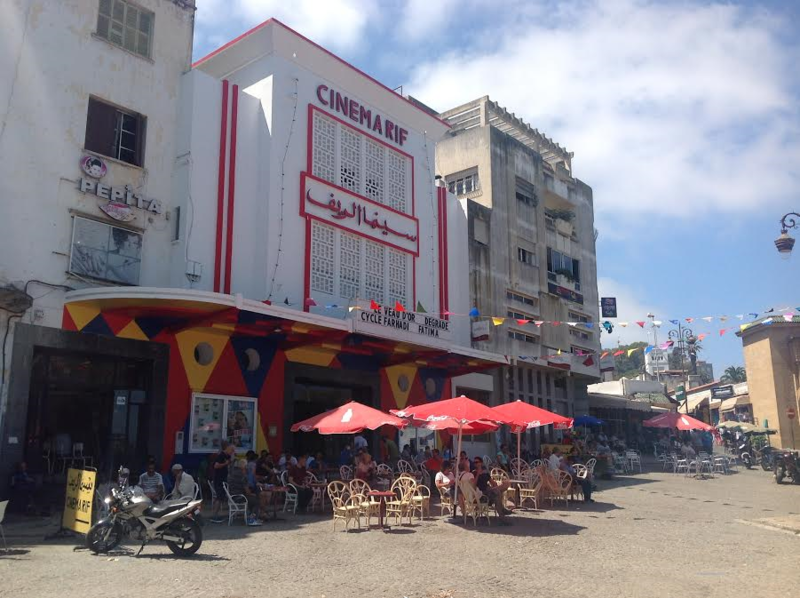 This will form part of the celebrations to commemorate the 10th anniversary of the only 'Cult Cinema' in North Africa. There will be a 15 minute phantasmagoria show followed by an epic voyage from Tanger to Jerusalem. Here is a picture of a rehearsal in progress with Meryl at the lantern and Jerry waving the big stick. One of Europe's leading lantern showman, the Belgian artist Herman Bolleart informed me in early December that he was planning to stage his final public performance ever at The Academy of Film and the Arts in Ghent on the 17 & 18 December. 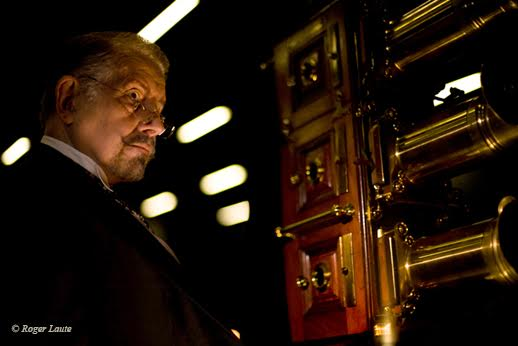 Herman, who is now 87, always was and always will be a hard act to follow. You can see an excellent promotional video for this last show here. 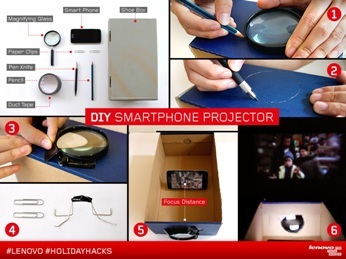 If Santa neglected to bring you a funky new Smartphone projectors, that are everywhere at the moment, never fear. The good news is that if you don't have £9.99 to spare to buy your own you can make a perfectly fine version from an old shoe box. You can find instructions here. The important less-easy-to-lay-your-hands-on element of course is the lens. Some versions suggest using an old magnifying glass, but a more ingenious version utilises an old light bulb filled with water. You can find that here. Of course if you don't have a shoebox, first you will need to buy some shoes, which could cost you about £120. 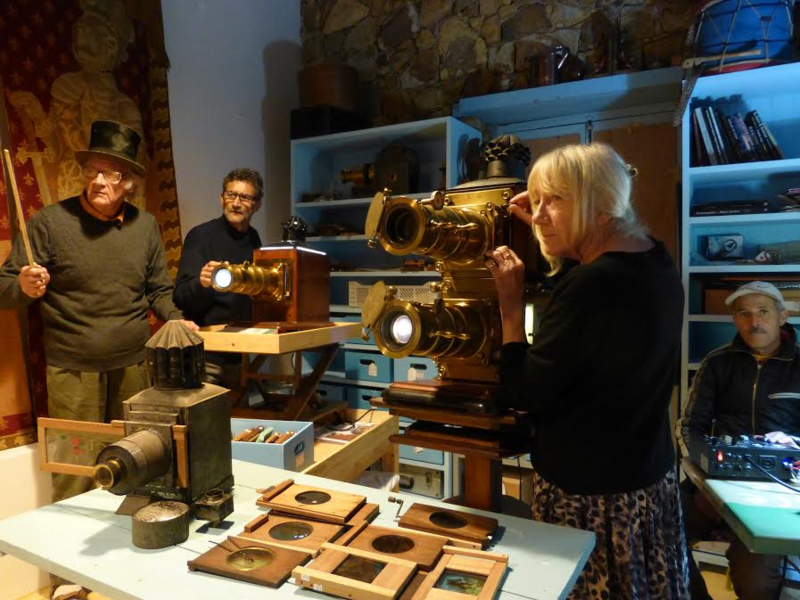 If you have an interest in research or performance involving the magic lantern or other forms of vintage visual media you might want to consider joining The Magic Lantern Society. We publish a regular quarterly printed journal and meet on a regular basis in the UK and other parts of Europe. Copyright © 2016 The Magic Lantern Society, All rights reserved.